For those who haven’t encountered this term before, the concept of a reference mix that I’m talking about is: A commercially released song (most of the time in the same style as the one I’m currently mixing) that has some remarkable element that will help me gauge how close (or far) I am on my own mix. I might love the drum sounds, the low end, the vocal placement, the production, or that reverb. Other times I put things in the playlist as cautionary tales. Usually these are great mixes save for one specific flaw. The high end is slightly too brittle and harsh, the low end dances back and forth across the line of “in control” to “out of control,” the vocals are far too loud, or everything is too compressed. Other times a reference is provided by the client. They give you a track and say, “we’d love it to sound like this!” Again, it’s important to clarify what specific element the client loves, but this is a really good way to help get into the same creative place as the client. Checking my mixes against these genre specific songs can help inform me of how my mix stacks up. It lets me know how close or far I am from my goals. The cautionary tales help me know when I might have an issue and also reassures me when I don’t. Another benefit is that when I walk into a room I’ve never been in before I can put this playlist on and after a few tracks have a good idea of how the room sounds and what I need to be aware of. I do this process in studios, live venues, even rental cars. Just to get oriented to how the system stacks up. All-in-all this tool has been one of the most important to me both professionally and personally. When I need inspiration, or a way to compare my work with the best, I just pull out my phone, computer, etc, and press play. 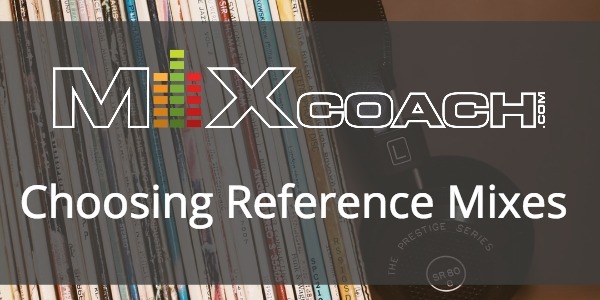 What’s in your reference mix playlist?